Maybe you regularly find yourself sleeping on the couch. The truth is sleeping regularly on the couch is not a healthy habit. That is why you find, for example, you wake up with a crick on your neck. It is best to have a night’s sleep and even basic rest in a bed. Just like sleeping on the wrong mattress you sleep poorly, consider your sleeping on a sofa. How the couch supports your body while you sleep. The ideal sleeping surface is the bed. 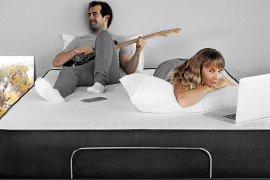 It gives your body enough room to move around and supports your body, in whatever sleeping position that you sleep in. This means a bed lets your body rest in a healthy alignment from your head to your heels. A couch can be too soft or too hard, which throws your spine out of alignment. So, you are more likely to wake up with aches and pain. Sleeping on couches forces you into bad sleeping positions. Maybe your sleeping position is sleeping on the side, but this is difficult on the couch. An unfavorable sleeping position on the sofa eventually damages your back and harms your neck muscles. Also, it leaves you tired and not fully rested. So, you are likely to end up with serious medical conditions. 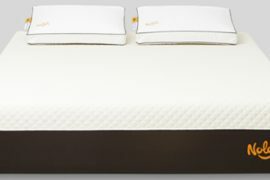 For example, if you are designed to sleep on your sides, you need enough support to sleep on your side freely. Sleeping on the couch instead of bed on your side is difficult to be comfortable. You lose a lot of sleep and you wake up too much often than you sleep. This leads you to waking up much more tired than normal. When you sleep on a bed, you are getting healthy rest and neutral body alignment. A sofa can have a hard surface, which tends to throw your entire spine and body out of alignment. Have you ever given a thought of the material that makes your sofa? Different materials conduct heat in different ways. Therefore, depending on the material that forms your couch, you could find yourself too cool or too warm on that couch. A mattress is designed to take care of this. 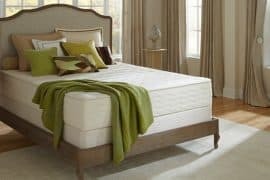 For example, with the influx of warmer temperatures, a mattress material regulates the temperature. So you are kept cool while you sleep. Heat is not absorbed on sofa material as well as it is in the material of a mattress. Also, lying on a couch, its material is not as supportive as material of a bed. Foams and springs used in couches are designed for sitting on. To support your body weight focused on the much smaller area of your buttocks. Such sofa materials are unable to absorb pressure on your shoulders and hips. Or keep your spine straight from the top of your neck to the base of your spine. If you sleep on the couch, it is highly likely you fall asleep with the lights on. And the TV also on. This is not only detrimental to your bills, but it is also bad for your sleep. Too much light while sleeping will wreck your cycle. To ensure you get healthy sleep, the one that properly restores your body. Avoid anything that disrupts your sleep cycle. Even the blue lights from electronics have the potential to mess with the quality of your sleep. Almost every person has a couch in their living room. The living room is one of the most illuminated places in the house. Therefore, sleeping on a sofa you are less likely to be totally in a dark room. We need darkness to properly sleep healthy at night. Sleeping on the sofa it means you are a subject of more illumination and lights than darkness. 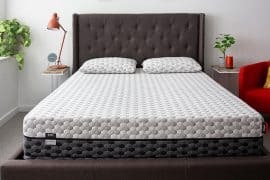 A mattress has foams and innersprings specifically designed to sleep on. Foams such as latex and memory foams are responsive, made to conform to your body shape. As well as provide overall support for your pressure points. The foams and springs used in couches are firmer than those used in mattresses. Generally, they are not able to absorb pressure on your hips and shoulders. 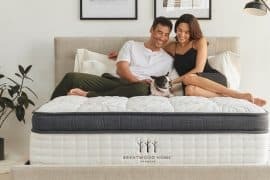 Even if you prefer a firm mattress to a soft one, the couch is still too firm for sleeping on. Sleeping on the couch, it is not designed to support your spine. Your spine should take the shape of ‘S’ when viewed from the side. When you sleep on a couch on your side, the spine will not be supported correctly. It will tend to bend sideways. If you sleep on your back or front on the sofa, your lumbar region will tend to straighten, leading to pain. If you are thinking about sleeping on couches, remember coaches are not quite as clean as they look. Since a couch is a communal piece of furniture, many people at home and even in other buildings sit and play throughout the day. Compare that to a bed. People tend to wash their sheets every week. It is highly likely the couch cushions are not washed as often as bed sheets. Proper hygiene plays a key role in a healthy sleep regimen. This includes the surface you sleep on. You may want to have cushions professionally steam-cleaned and pillowcases dry-cleaned to help with the dirt pile up. Even if cleaned, sofas are seldom properly cleaned. But bed sheets are thoroughly cleaned, which removes mites and bacteria. Also, the smell is more relaxing; sleeping on clean sheets you really feel pleasured. Sofa material is not soft and comfortable. And it is not good at wicking moisture. Meaning that your sweat piles up almost instantly, which keeps you feeling overheated and sweating. 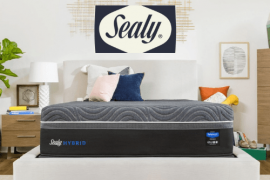 Mattress material, on the other hand, absorbs moisture and regulates the rate of evaporation. 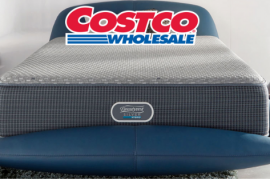 So, you sleep cooler for more hours, even up to several hours. 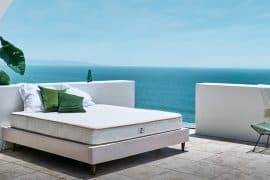 Some mattress materials are upgraded with premium cooling properties for a highly regulated temperature while sleeping. 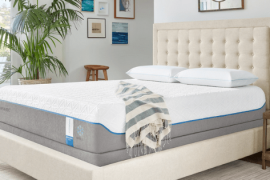 Such mattress materials are extra breathable and lightweight. It wicks the heat away from your body and dissipated it out of the bed at the edges. This way, it continues to wick heat away from the bed as long as you are there. The Sofa simply does not have the sheets and blankets and pillows that help in heat and sweat regulation. 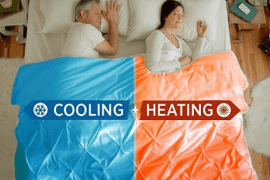 Optimal sleep and healthy sleep require sleep surface of materials that regulate temperature. Sofas or couches have a small sleeping area whose surface tends to slide. This makes for a terrible sleep for a couple sleeping on a couch. This is part of nap couch distraction, especially for larger people. It can be difficult adjusting your sleep position when sleeping on a couch. You can’t generally move around when sleeping since you fear sliding. Apart from the sliding, not only are you likely to have a TV, a computer or just anything that distracts you. You are also more likely to be distracted in the middle of your rest by someone else. More so if you live together with other people. Sofas and couches are usually located in the public area of the house. So, when other people pass along or pass by early in the morning ready for work. Your sleep will be interrupted. One of the fundamental reasons why it’s a bad idea to fall sleep on a couch is because couches are designed for sitting and not sleeping. Therefore, it does not provide opportunities for healthy sleep. For example, sofas and couches do not provide for the right sleep position. Also, they are too firm or too soft for a comfortable sleep. It may be okay to fall asleep for an hour or two watching TV. But not extended, refreshing overnight sleep. 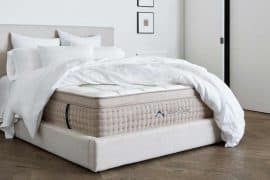 A mattress is fitted with materials designed for sleeping for longer hours. The sofa or couch is not suitable for sleeping on and the mattress is not suitable for sitting on. Each has its own intended use engineered into their design. Use a couch for sitting on and your bed for sleeping on and you won’t experience orthopedic issues as much.